“Count Your Blessings” Musical Program Sunday November 18th, 11:30 AM. 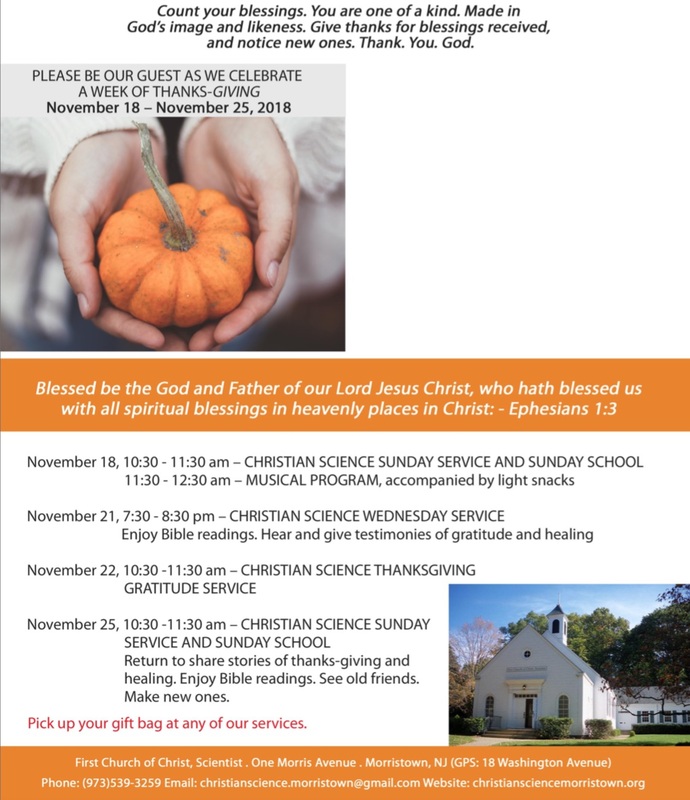 You and your friends are invited to First Church of Christ, Scientist, Morristown, on Sunday, November 18th. The church is hosting a “Count Your Blessings” week being kicked off with a Musical Program which will include performances by music professionals along with joining together to sing hymns and other seasonal songs. The program will begin immediately after the 10:30am Sunday service, at 11:30am, and will be accompanied by light snacks.